This blog is censored in China. Tread safely. 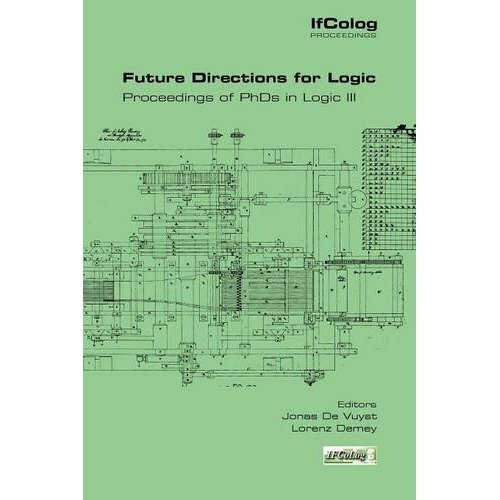 On 17–18 February 2011 the third installment of PhDs in Logic took place at the Academy Palace in Brussels, Belgium. Some forty European logicians gathered to discuss a diverse range of topics in mathematical and philosophical logic. PhDs in Logic is an annual series of graduate conferences/winter schools, run for and by PhD students. The winter school consists of tutorials taught by well established researchers; the graduate conference provides young logicians with an excellent opportunity to share their results with a large audience of peers and established logicians. This volume bundles thirteen of the papers presented at the graduate conference of PhDs in Logic III. These papers deal with a wide variety of topics, coming from subfields such as algebraic logic, set theory, and philosophical logic. All papers share the common goal of advancing the boundaries of research in logic and its applications, thus turning this volume into a unique overview of what's hot and upcoming in the field of logic. Jonas De Vuyst and Lorenz Demey (eds.). 2012. 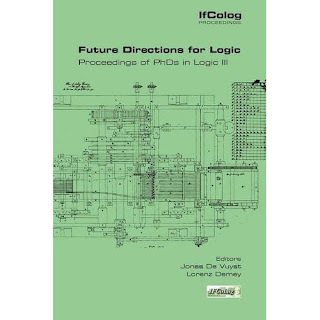 Future Directions for Logic: Proceedings of PhDs in Logic III. IfColog Proceedings Volume 2. College Publications: London. ISBN 978-1848900790.